Jay Sarkar, President and CEO is pleased to announce the signing of the two major contracts and many others in excess of $3.0 M. These two major contracts were received from Bruce Power and KHNP. With great pride I am pleased to announce our back log of confirmed orders stands at $8.5 M and growing. In light of our continuous growth, Sartrex has recently invested very heavily into its production infrastructure. The investments mainly include implementation of a new company wide Enterprise Resource Planning (ERP) system, cyber security firewalls, crash plan procedures (including off site backups in real time), a rebranding of Sartrex’s website and an overall staff increase by 10%. In order to meet the growing needs of our clients, it was necessary for our team to ensure that the quality first culture we fostered would not be compromised as a result of this growth. It was thus essential for me and my team to ensure we have the necessary tools and skilled people within our organization to help with evolution. Our goal is to remain a global leader in custom design instrumentation and safety related technologies that are meant to safeguard the public’s health and safety. Sartrex is determined to operate in a way that advances this objective, since we do not take this responsibility lightly. For details please contact our highly experienced sales team at (905) 669-2278 ext. 227, 394 and 249 or log on to our website www.sartrex.ca. Jay Sarkar President & CEO is pleased to announce the signing of several orders in excess of $3.2M. The confirmed orders are from KHNP (South Korea), TQNPC (China), Bruce Power (Ontario), OPG and other power generation utilities. Our confirmed order by booking stands in excess of $6.0M and majority of the orders are scheduled to be shipped in fiscal year 2018. Our shipment / revenue for the fiscal year 2017 has increased by almost 40% compared to previous year. We are also pleased to report that the mega project from L3 MAPPS has been successfully completed to the full satisfaction of L3 MAPPS and KHNP. The panels are being packaged and will be shipped to its final destination before end of year 2017. Sartrex has leveraged its expertise with nuclear industries and diversified its products to include numerous monitoring systems, amplifiers, control panels, simulators and various others to military, navy and other related industries with great success. Our stringent assurance methodology along with our world class engineers, technologists, scientists allow us to design cutting edge technology products for nuclear and military industries. We continually strive to assist our customers in manifesting conceptual designs into tangible solutions, which are aimed to pass the most stringent qualification requirements. Our expertise and capabilities includes design, development and qualification of analog / digital modules and amplifiers, power supplies and many other instrumentation and control sub systems. Our capabilities are as follows in addition to the above. Our goal is to remain a global leader in custom designed instrumentation and safety related solutions with the aim to safeguard the public’s health and safety. For details please contact our highly experienced sales team at (905) 669-2278 ext 227, 394 and 249 or log on to our website www.sartrex.ca. Jay Sarkar, President & CEO is pleased to announce the signing of several orders in excess of $2.5M including orders from KHNP, OPG, Bruce Power and other utilities. Our confirmed backlog at present stands at $8.2M, despite our accelerated shipments in the fourth quarter of 2016. Mr. Sarkar is pleased to report that our autonomous UAV development project is at an advanced stage. The UAV when fully developed and tested will have application in the nuclear, military and aviation industries. We have also entered into partnership agreements with Universities to further diversify our technology base. As a part of our growth strategy, we have committed to large capital investments for the expansion of our assets and capabilities. This includes equipment, people, and infrastructure to support our targeted growth objectives. Key milestones are expected to be reached in the second quarter of this year. Sartrex’s dedicated management / technology teams are always looking for new innovative methodologies to improve the quality / workmanship which must be embedded at every level of the value chain, in order to deliver best of breed products and services to our valued customers. 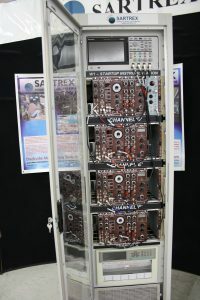 Sartrex – a high tech scientific instrumentation company has a long track record of catering to the nuclear power plants, military and security markets globally. Our goal is to remain as a global leader in custom designed instrumentation and safety related technologies. 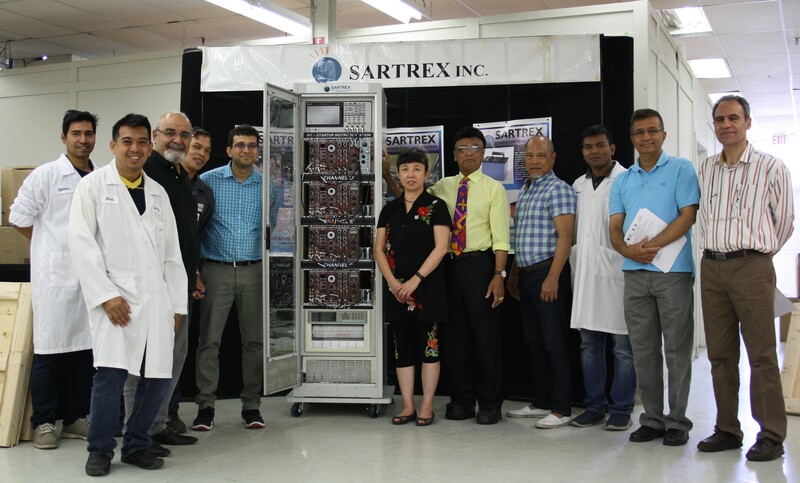 Jay Sarkar, President and CEO of Sartrex Power Control Systems is pleased to announce the recent signing of several contracts worth in excess of $5.5 Million. The scope of these confirmed orders are for Control Panel Simulators, Ion Chambers, Trip Test Amplifiers and health Physics Monitoring Systems from various utilities and Power Plants globally. With the acquisition of these orders, Sartrex current production backlog stands in excess of $8.5 Million, which is the largest confirmed backlog since the inception of Sartrex. We are pleased to announce that Sartrex has entered into a few partnerships with Federal, and Provincial governments of Canada and Universities to further diversify of our competencies technology base. Sartrex has invested a lot of capital in seeking out expertise to ensure that our design and manufacturing capacity is scalable to accommodate our growing business without sacrificing our high quality and workmanship. Sartrex has a dedicated team to ensure that superior performance and reliability is embedded at every level of the value chain in order to deliver the best possible products and services to our customers. 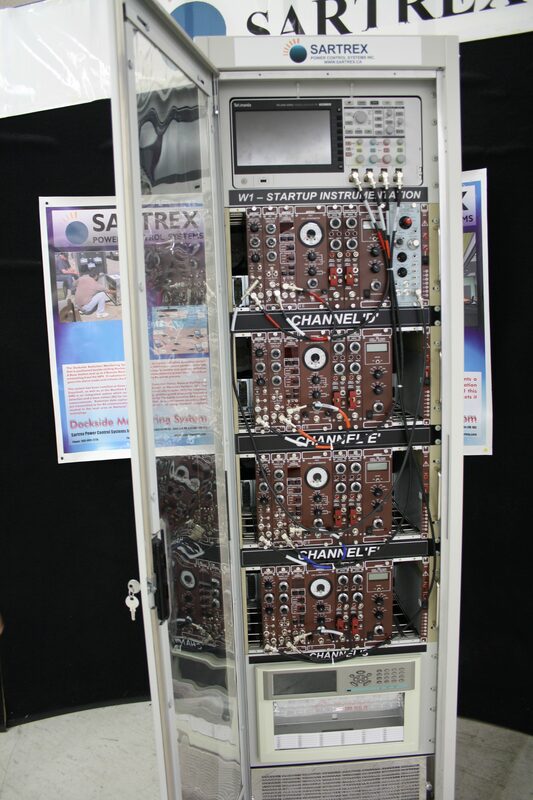 Sartrex is a high tech. scientific instrumentation company catering to the Nuclear Power Plants, Military and Security markets globally. Our goals are to remain as a global leader in custom designed instrumentation and safety related technologies. I, Jay Sarkar, President & CEO of Sartrex Power Control Systems Inc is pleased to report the signing of several large contracts in excess of $3.3M. Major orders received from KHNP, China, ES Fox, Romania and other utilities. With the acquisition of these orders our current production backlog stands at $4.1M with our second quarter shipments significantly higher than its previous quarter. I am also pleased to announce that Sartrex has entered into several partnership agreements with universities to further diversify our safety related portfolio. Sartrex has also invested a lot of time and effort to ensure that our design and production capacity is scalable to accommodate our growing business, without sacrificing our high quality design and manufacturing standards. I am also pleased to report that presently Sartrex is in critical stage of several negotiations with various utilities for refurbishment projects. We are also working with Federal and Provincial Governments for research related projects to further our technology base. Our loyal and dedication team is committed to ensuring that superior performance and reliability are embedded at every level of the value chain in order to deliver the best possible product and service to our customers. At Sartrex, every member understands that it is not just the responsibility of our QA team to uphold our quality vision, but it is the responsibility of everyone. Our goal is to remain as a global leader in instrumentation and safety related technologies and looking for ways to improve and bring forth value to our quality management system. Jay Sarkar, President & CEO is pleased to announce the signing of several orders in excess of $1.7M from various utilities, power plants and Government research facilities. I am also pleased to report that our order booking accelerated during the last few months and our current production backlog stands in excess of $4.0M, even while completing significant shipments over the last couple of months. I am also pleased to announce that Sartrex has re-focused and shifted its attention towards forecasting, optimization, customer relationship management and evolving our quality objectives. Sartrex has completed several quality assurance audits over the past year from various utilities with great success. Not only has this validated our continuous improvement efforts over the last several years but it also provided us the necessary focus to ensure we are continuing to strive to manufacture and deliver the most reliable, and the highest performing critical safety instrumentation in the market. Our entire dedicated staff of engineers, scientists, technologists, technicians, assemblers and management team has worked hand in hand to enhance the culture of the company, one that prioritizes quality over all else, and one that is motivated to ensure that our designs and manufacturing expertise are of the highest quality. 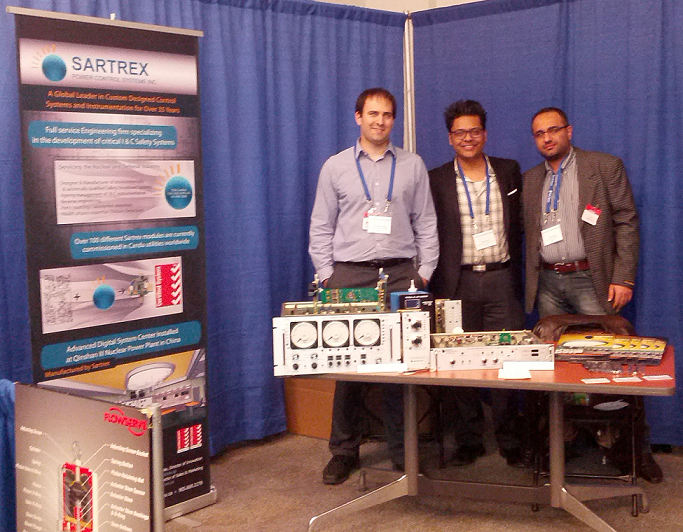 Fiscal 2014 is shaping up to be an exciting year for Sartrex. We are very proud of what we have achieved so far this year, while still being mindful that this process cannot stop and must continue in order for sustainable, long-term success. Our goal is to remain a global leader in critical military grade instrumentation and safety related technologies.